(1) Provided that the geometry of the joints is within the range of validity given in Table 7.8, the design resistances of welded joints between hollow section brace members and rectangular or square hollow section chord members may be determined using 7.5.2 and 7.5.3. (2) For joints within the range of validity given in Table 7.8, only the design criteria covered in the appropriate table need be considered. 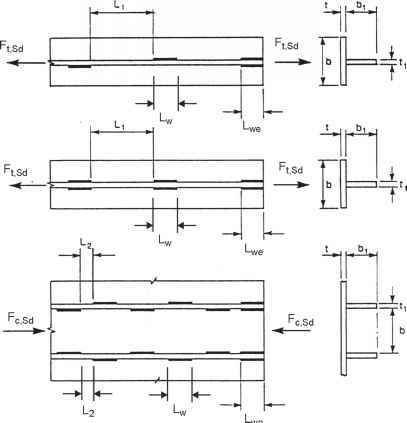 The design resistance of a connection should be taken as the minimum value for all applicable criteria. (3) For joints outside the range of validity given in Table 7.8, all the criteria given in 7.2.2 should be considered. In addition, the secondary moments in the joints caused by their rotational stiffness should be taken into account.